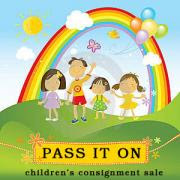 I’ve got a pair of private pre-sale passes to the Pass It On Children’s Consignment Sale at Sportsplex of Halfmoon for this Friday, May 2nd. If you’d like the pair, please comment with your personal best hand-me-down or bargain-hunting score ever before 7 am THIS Tuesday, and I’ll randomly select one winner to receive the pair. My best score was a black tank cocktail dress with the tags still on, that I got for my mother at a consignment store for $12. Would love to win these tickets! Found my daughter an awesome pink Adidas jacket that she loves! The vintage sectional I just got off of Craigslist. My girls loved groovey girls and last year there was an entire bag of groovey girls with accessories in awesome condition. It was a great find! Claire won the random drawing! Thanks for commenting.